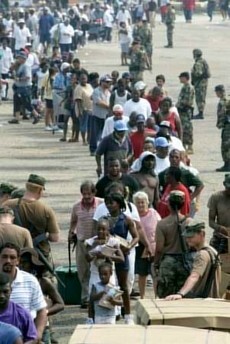 In response to Hurricane Katrina which has pummelled the coast of Louisiana, Alabama and Mississippi, the Red Cross has launched its largest ever mobilization of resources for a single disaster. Don Shropshire of the Canadian Red Cross (National Director of Disaster Services) says, "We have offered our colleagues in the United States our full support for this disaster." "At present the American Red Cross has requested that Canadian Red Cross send highly trained disaster response volunteers and we are currently preparing our team to travel to the US." The Canadian Red Cross will be not be recruiting new people for this team, but rather will be relying on its existing pool of experienced, trained volunteers. "The Canadian Red Cross has received hundreds of call from Canadians wanting to help the people impacted by this disaster and will accept funds designated for Hurricane Katrina." Donations of food, clothing and other items, while well intentioned, are not the best way to help those in need. There are tremendous processing and transportation costs involved in shipping these items to beneficiaries. Local purchases of food and clothing are more culturally appropriate and effective. Red Cross supplies can be purchased in the immediate area, thereby reducing transportation costs. Cash transfers to the affected region provide the optimum flexibility to our Red Cross colleagues so they can meet the most urgent needs. Teams are mobilizing to save pets left behind during Hurricane Katrina. Many dogs, cats and other animals were left behind by hurricane evacuees and victims. They need food, water, shelter and possibly medical treatment. Experts say animals, like people, experience significant trauma during disasters. In addition, horses and other hooved animals that stand in water for great lengths of time can develop hoof and leg problems. Animal rescue groups want to save as many animals as they can. They'll try to reunite them with owners or find them new homes. 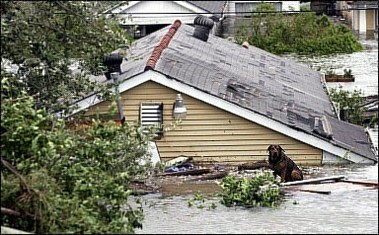 The Humane Society of the United States says rescuers have saved some 300 animals in post-hurricane New Orleans. HSUS has mobilized more than 30 staff and volunteers trained in animal rescue from 12 states. They're coordinating with FEMA, the Red Cross and other relief agencies. Other animal groups are also sending rescuers. Difficult conditions are still preventing animal rescuers from reaching the hardest-hit areas. Efforts includes a group from Days End Farm Horse Rescue in Maryland. Horse rescuers have slings to lift injured or trapped horses, plus fresh water, harnesses and leads. The ASPCA Disaster Relief Fund helps shelters and organizations that are impacted by natural disasters. Your donation today will go directly to help shelters impacted by natural disasters rebuild facilities and assist in their disaster recovery efforts. What do you say to caring friends and family who have offered so much support, care and concern? A mere "thank-you" does not seem to be enough. My most heartfelt gratitude to all who have sent good wishes to Corbin, Everett and myself, by phone, e-mail, letters and cards. 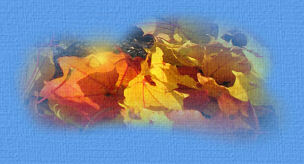 It is at times like this that the good feelings sent by other people can lift you up and help with recovery. May I take this opportunity to thank everyone involved in assisting us after the accident: the first people to stop their cars and assist us roadside; the OPP (Ontario Provincial Police dispatched from the Caledon East division); paramedics and ambulance attendants (from Caledon as well); fire department (from Caledon) and the staff in the Emergency Ward at the Headwaters Hospital outside of Orangeville. Special thanks must go to Dr. Nancy Tarzwell who came to the accident site and took Everett back to her clinic just outside of Georgetown, Ontario (Terra Glen Animal Hospital). I cannot begin to tell you how much it meant to me to know that Everett was with a great veterinarian, and friend, and that I knew he could be in no better hands. Dr. Tarzwell enlisted well-known veterinary surgeon Dr. Joe Dingwall to perform the surgery on Everett's shoulder and leg and I have great confidence in the work he did for our boy. Everett's x-rays had shown quite a bit of damage on the top of the shoulder, including a fracture and a chip off of a bone. The decision was made to start high with the incision on the shoulder, but once inside, both vets were pleased to find the damage from the chip was not quite as bad in that area of the shoulder as indicated on the x-ray. As a result, they did not have to put any screws into Everett's shoulder, as thought before would be necessary. Everett also has a fractured radius and ulna, and this has caused an extra hardship for him; having fractures both above and below the elbow. We picked Everett up from Terra Glen Animal Hospital on Monday, August 29th and I don't know who was happier - my son, Corbin, Everett or me!! The twelve days that Everett had been in the hospital we had not gone in to "visit" him - we would visit the hospital and "sneak peeks" at our boy - but he didn't know we were there. (We did not want to upset him, because I knew he would be not able to understand why we would come and then leave him there.) We especially did not want him to move around and cause him to hurt himself more than he already was (the surgery was not done until Tuesday, August 23rd). So our boy is now home; living in his new "great dane" size crate, tucked quietly away in the dining room. I wanted to keep him quiet and near our patio door. Our patio door opens to a small gated deck, so we take Everett out on a lead on the deck where he does his business like a good boy, and then hobbles back into his crate. Quite the restricted life for now, but he is taking it like any sweet-natured Springer would - no complaints, tail wagging when you talk to him, just wondering what is going on. He is not weight-bearing on the leg or shoulder at all and he has developed quite an "interesting" way of moving. His left shoulder kind of moves forward (without that foot touching the ground) and then the other three legs sort of "hop" at the same time - it works - he moves forward! We restrict the movement to only a few metres (the crate is only about ten feet from the door). Everett has also learned that now that he is feeling a bit better and not having to 'squat' to pee, he must always lift his left rear leg and pee on that side. A couple of times he has forgotten, tried to pee with his right leg up, and fallen. First time he cried, second time it happened a few days later he looked more embarrassed than hurt! Since the first night of Everett's arrival home, my son has moved a mattress onto the floor of the dining room and has been sleeping beside Everett's crate. I have taken to having my 'naps' on the couch or the mattress (and that's a surprise to anyone who knows me - I very rarely sleep at night, little on in the daytime!) beside Everett and he thinks that is a good idea. I can't tell you yet what the final prognosis will be for Everett. Dr. Tarzwell has told me that it will be at least four weeks until we know if there is any nerve damage or muscle damage to the leg and/or shoulder. He will have this cast on for at least six weeks, then x-rays taken and a decision to see what steps will be next depending on how things are healing. He is to stay in the crate for six weeks restricted and then another six weeks of "guarded". I think it is needless to say that Everett's show career is over (before it really started) - the big concern for us is how much trouble he will have getting around, how bad the limp will be, and the possibility of arthritis setting in. Now I know from the many calls and notes that you also want to know how Corbin and I are. Corbin has had the stitches removed now from both of his hands - he had two very bad lacerations. As well, we (finally) got all of the glass out from under his skin (with the last piece being removed August 5th!). He has started physio-therapy on his right hand/wrist, his right knee and his left achillies tendon. His bruises have almost all healed now (18 days after the accident). It will take time for him to heal mentally; neither one of us is too crazy about being in a car right now. I, too, have had my stitches removed and the bandages off. Well, all except my knee - that one will take quite a while to heal over as even though the wound was large (like it had been through a "meat grinder" they said at the emergency room) they were unable to stitch it up. We have to wait a bit for that one to heal, but when it does I will be starting physio-therapy as well, for (I think) my knees, my shoulder, back and arm, etc. I also cracked some teeth and will be visiting the dentist to get all of those attended to. I just got some x-rays yesterday (cracked ribs are now suspected as well). Some people have commented on how unlucky we are to have been involved in two car accidents in the space of four months. But not so! I consider us all very lucky to be here - and it you had seen what was left of our van, you would certainly agree! I am trying to think of my glass as half-full, not half-empty! There is no doubt in my mind that the Lord was with us, as well as our guardian angels (I like to think it was my Mom and Dad). We are truly blessed to be here and on the mend. And we are truly blessed to have such good friends sending your best wishes. From the bottom of my heart, thank you to all.